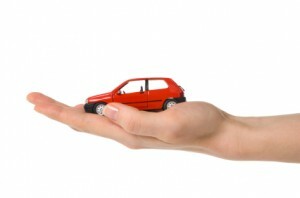 How do Car Donations Help Non-Profits? Car donations are a way to aid non-profit and charity organizations across America to gain access to much needed funding, and the car donation program proved to be a successful method to assist with the funding of charities and as such, the organizations were able to continue to give their charitable services within communities in dire need of aid. The primary objective of the car donations are to provide funding for non-profit organizations and these organizations include the Goodwill™ Industries. Both organizations work across the country and offer services to families that are in urgent need of help. The car donations which are made will be either utilized on a logistical or managerial level within the organization to assist them in fulfilling their duties, or the car may be sold, and the proceeds of the car donation sale will be used to fund the charity. How can you help with Car Donations? For those keen to find out more about the program of car donations or for those who are seeking methods in which their non-profit organization is able to benefit from car donations, our website, www.charitydispatch.com, provides full details on our services and how we will work with donors to ensure that the car donation process is hassle-free and convenient. Many are unaware that car donations can be made, and in the same vein, car owners feel that their car is not good enough, as it is not running or in poor condition; however, these cars will be earmarked for stripping and the sales of the spares from the cars will again be used for funding for the charity. Charity Dispatch is a specialist in car donations and in addition to car donations, donors are able to make donations of SUVs, boats, motorcycles, airplanes and timeshares-full details of such donations can be seen on our website. It may seem unusual to make car donations; however, car donations are commonplace and as common as the donating of secondhand household goods or cash. Since the complete process is professionally taken care of by Charity Dispatch, who will arrange for the collection of the car at no cost to the donor, those eager to make a car donation will find our service are very useful. What happens with your Car Donations? The individual making the car donation will not only be making a difference in the life of a needy family or group, but since the charities represented on our website are IRS approved non-profit organizations, the donor is able to enjoy a tax deduction with the car donations. The value of the car donation can be used to offset taxes, again, details of such tax deductions can be seen on our site. Our toll free number, 800.506.0172, is monitored 7 days a week by live operators and when individuals want to become part of the car donations program, Charity Dispatch will take your car donation call and coordinate the process.